While researching wild animals for various projects over the past couple of years, the term “survival adaptation” often rears up. A survival adaptation is a physical attribute or a behavior that helps a wild animal survive. Like wolves’ innate ability to be tough. Or a tiger’s ability to swim, which gives him an edge while hunting and helps him widen his territory. But what about wild ponies? Waiting for the ponies to swim. 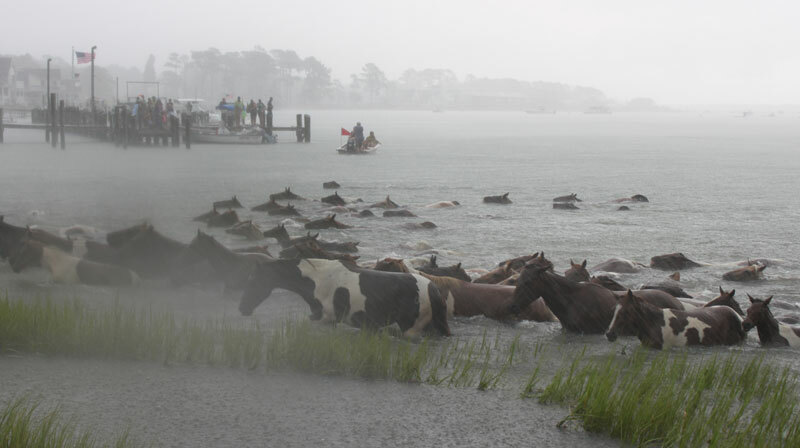 Last year, I sat on a pier for hours at the side of the churning, brackish waters of the Assateague Channel on the day of the famed Chincoteague pony swim (check out my story in the July 2014 issue of Horse Illustrated). 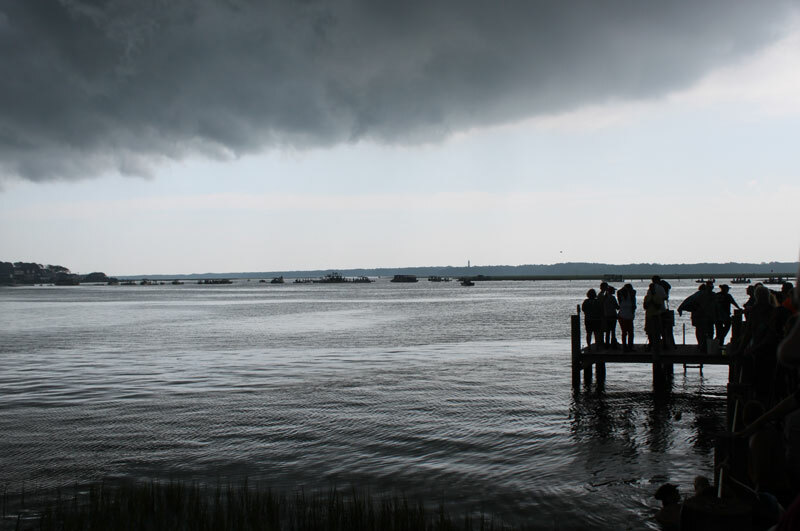 A black cloud overtook the sunshine just as the slack tide approached . That’s the 30-minutes or so between low tide and high tide when the current stills so it’s easier for the ponies to swim. 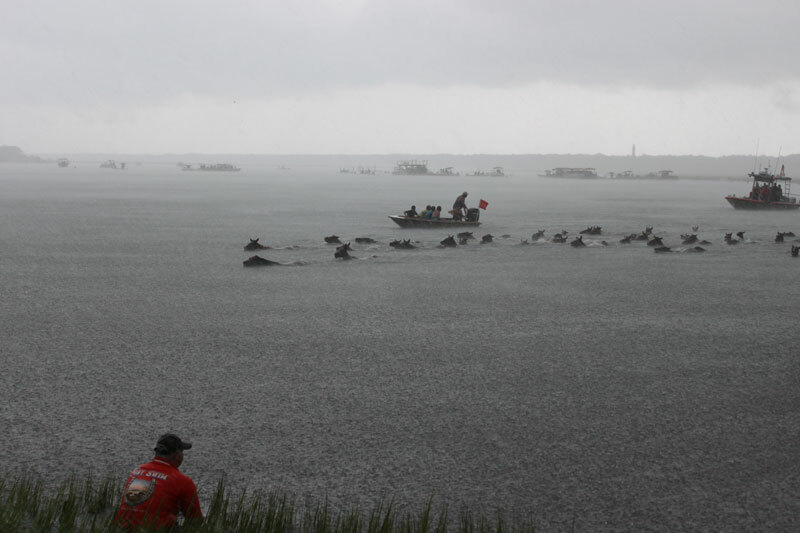 Cold, hard rain pelted the ponies as they swam through the storm. Over the next few moments, 150 more ponies pawed their way up onto solid ground. They shook, snorted, whinnied and regrouped without injury (not counting my drenched iPhone which didn’t wake up for three days and never fully recovered). 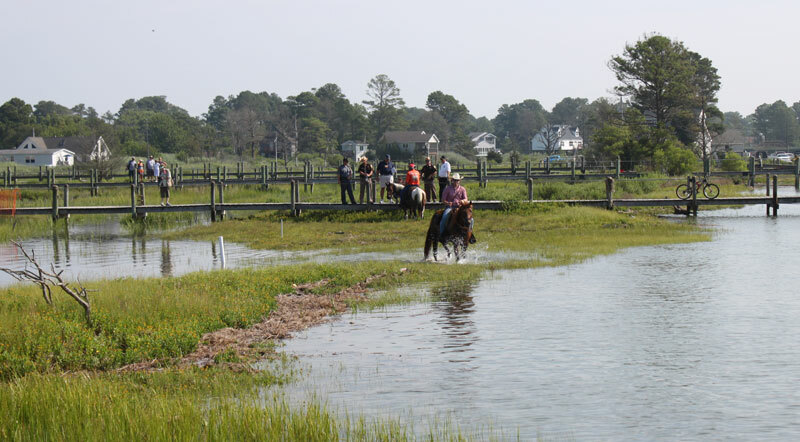 But that sliver of a moment when those first horses turned around instead of running onto dry land or even before they shook the water out of their eyes was a thrill to witness. It’s one of the moments I think back on most. It was like I could see the energy that connects the herd. And how their survival depends on each other. The safety net. A survival adaptation in action! It was a thrill to witness. Next articlePhoto Gallery: Happy National I Love Horses Day! Stories such as these bring tears to my eyes and a feeling of pride for these special animals and their family bonds that so many people DO NOT UNDERSTAND,,O they are just animals..NO THEY ARE NOT !! They are familial and very loving..I raised and rode rodeo for many years and there is nothing more special than an animals love and trust !!!! I went to pony penning back in 1959-60 ish, I’ve never forgotten it! In those days you could probably take a very young pony back in your station wagon. I cried all the way home when my parents said, no. 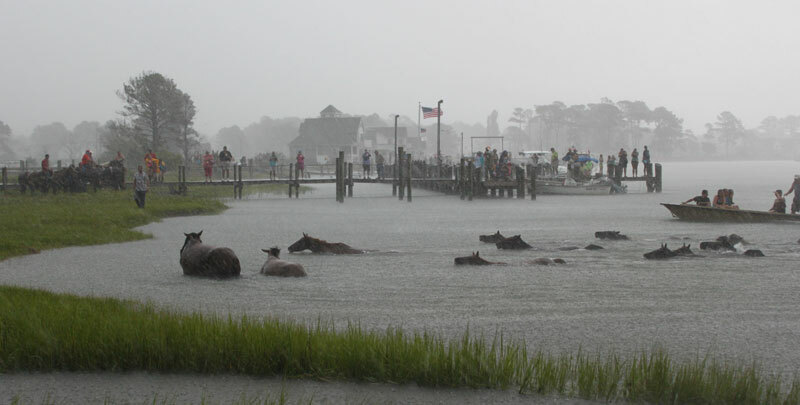 They adapt well and are something that we need to protect just like the horses in NC outer banks! Great story!!! !